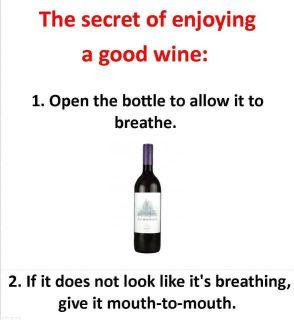 Funny Picture - Secret of enjoying a good wine. Open the bottle to allow it to breathe. If it does not look like it's breathing, give it mouth-to-mouth.